How is it possible that this book for children ages 4 to 8 is so moving that the outside world vanished as I read the first page, and by the last it had me bursting into tears? My co-producer for The Animalist, Christen Goguen, took the book next and simply cried all the way through. Don’t get the wrong idea. 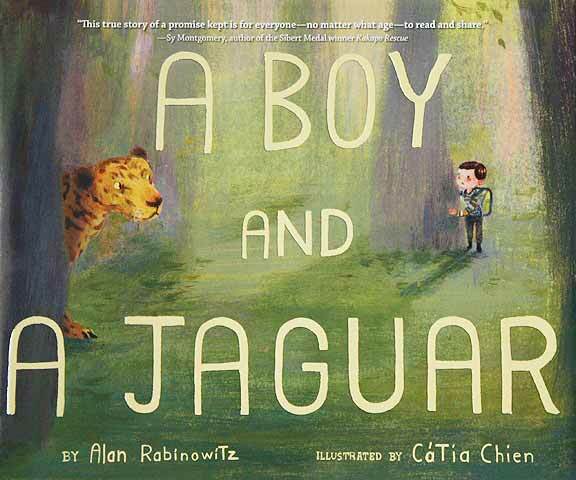 “A Boy and a Jaguar” is not a sad story. Not at all. 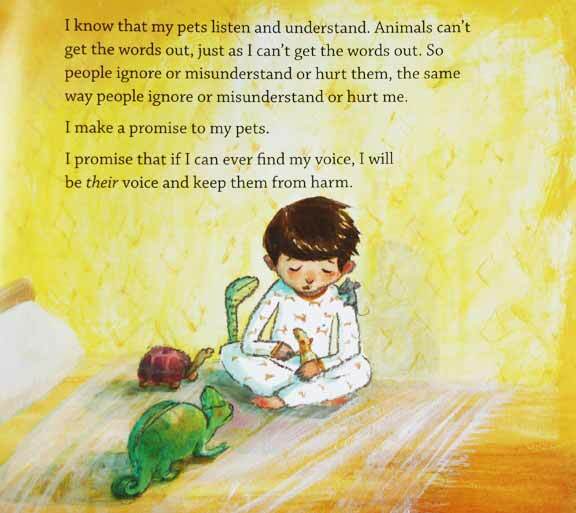 It’s a transcendent, beautiful, and uplifting one—a prayer for anyone who loves animals. Through spare words (accompanied by the imaginative, soulful illustrations of Catia Chien), Alan Rabinowitz tells his life story. 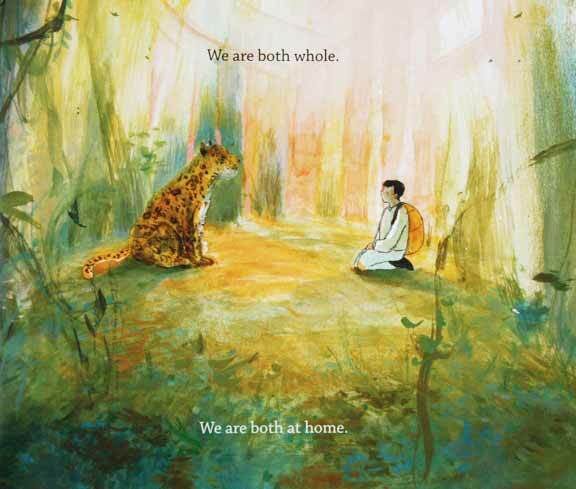 Mocked by other children and segregated by teachers because of his severe stutter, Alan is a “broken” boy, who finds not just solace, but grace among animals. When he is with his pets at home, or the jaguar in the zoo, he gains his voice. He conveys his dreams to the creatures around him, and he makes them a promise. Later, as a gifted field biologist, he discovers a way to keep his word. I don’t want to give any more of the story away. Though I don’t think that even spoilers would diminish the emotional punch of this book. When I sat down to read “A Boy and a Jaguar,” I already knew not just the basics, but the details too of Rabinowitz’s life. Over the years, I’ve followed his prolific and far-reaching career in research and conservation work. I’ve read three of his memoirs (which intertwine his emotional and spiritual quests with his scientific efforts). And I’ve interviewed him at length. None of that prior knowledge took away a drop of potency from this tiny, distilled version of his life. And his life has been a full one. Rabinowitz has studied big cats all over the world and fought for their protection. He was the director of science and exploration at the Wildlife Conservation Society for 30 years and is now the CEO of Panthera, a remarkable organization focused on saving big cats and their habitat. He’s good at conservation and the politics of persuading governments to take action. Among many impressive victories, he has established the world’s first jaguar sanctuary in Belize, and the world’s largest tiger reserve in Myanmar. Through it all, he’s continued to work as a scientist, puzzling out the details of animal behavior, while also taking stock of the big picture in saving endangered species. His campaign these days focuses on the creation of safe “corridors” linking isolated populations of wild cats. Rabinowitz has also been working on a new book for adults about his favorite species of big cat, “An Indomitable Beast: The Remarkable Journey of the Jaguar,” which will be released this September.